I.F.O Halloween Sale at 4 platforms! 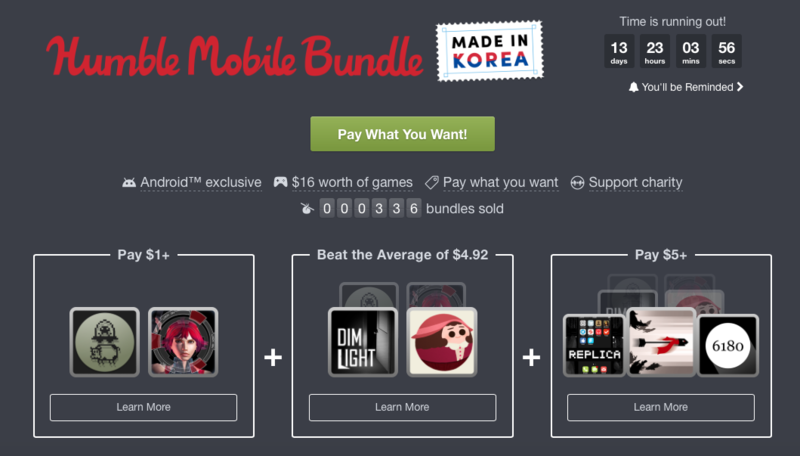 Now sale "Made In Korea" bundle! 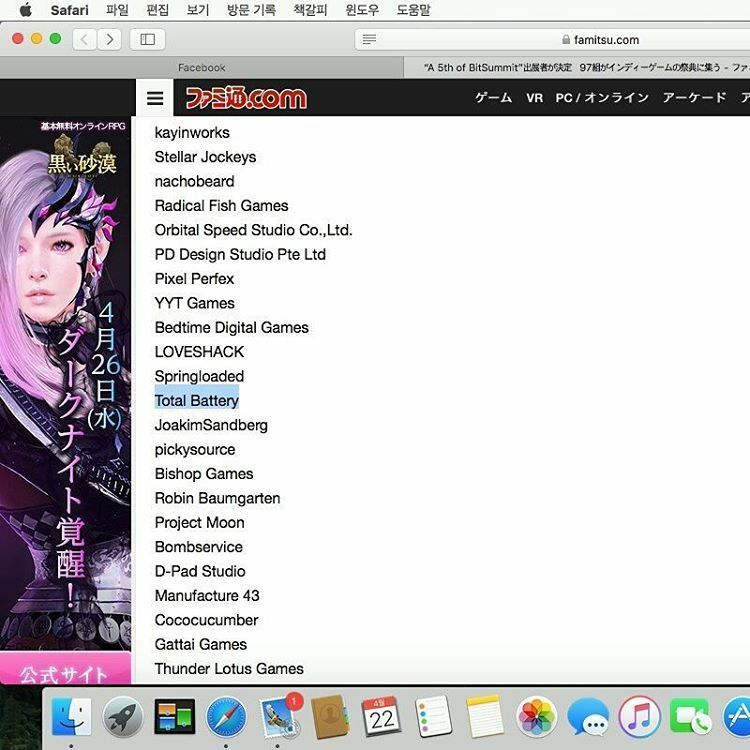 I.F.O On the Tokyo Game Show 2017! - Splash damage change of rocket. - Changed UFO process method at Out of screen. Now "GAMESCOM 2017" celebration sale! I.F.O can play with touch on Table PC. 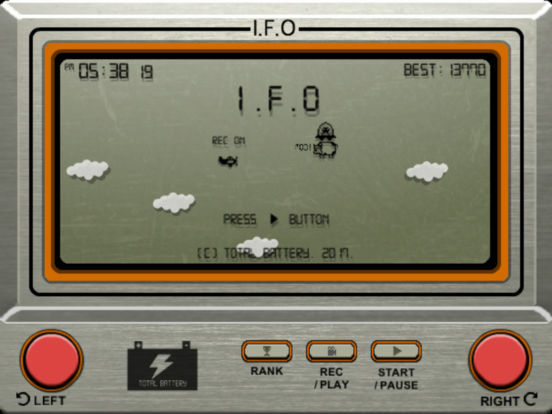 [Review] I.F.O - More than a simple LCD game? She is playing a game made by her papa. 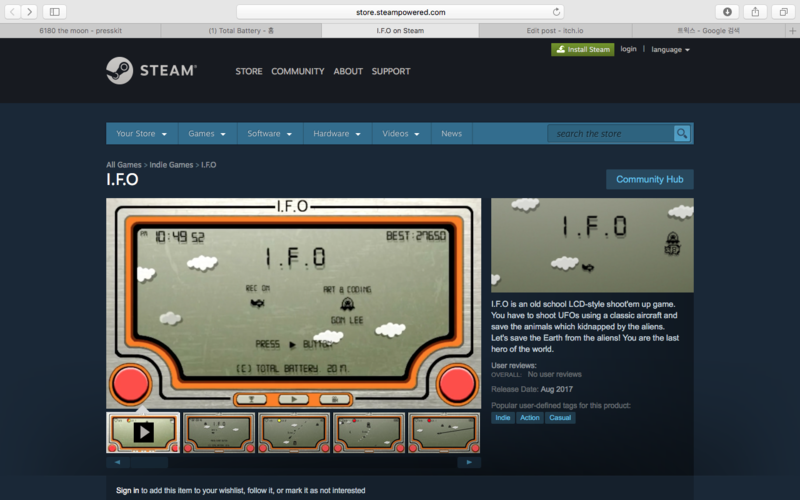 I.F.O Steam shop page open! 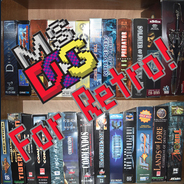 Now beta testing on Steam. 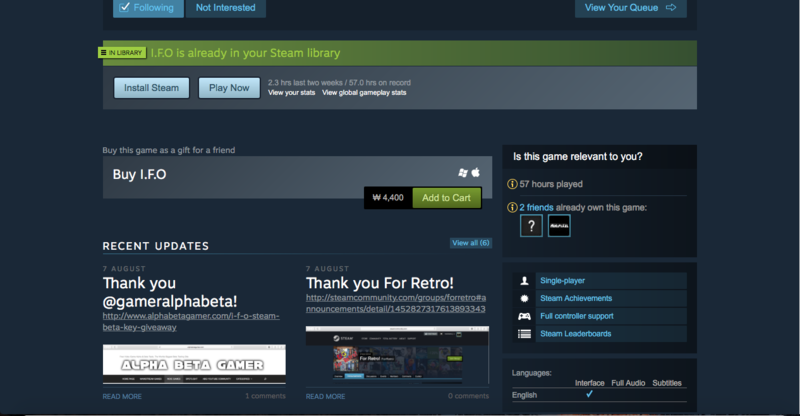 If you purchased on itch.io, you can get a Steam beta key. Are you haven't iPhone? so can't you play I.F.O? Don't worry. Now sale I.F.O android version! 50% off too!! Replay movie of world ranking no.1 player. I.F.O featured again at US App Store! Now featured celebration sale! try it! I.F.O on the google play! I.F.O has been Greenlit! Thank you for all vote. I.F.O updated to version 1.3.2! - Add I.F.O sticker for iMessage. 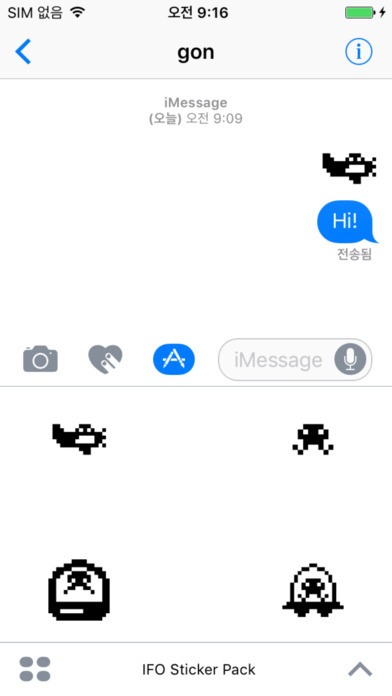 Now you can use cute I.F.O sticker pack on iMessage. I.F.O updated to version 1.3.0! 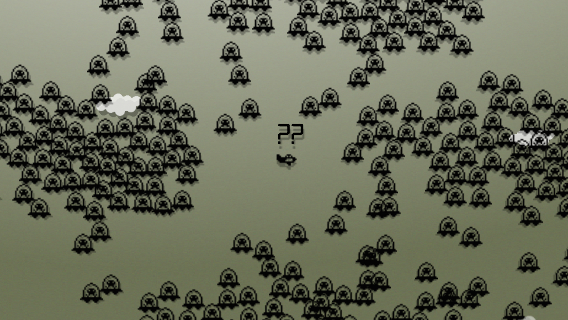 I.F.O will go to the Kyoto for bitsummit!! 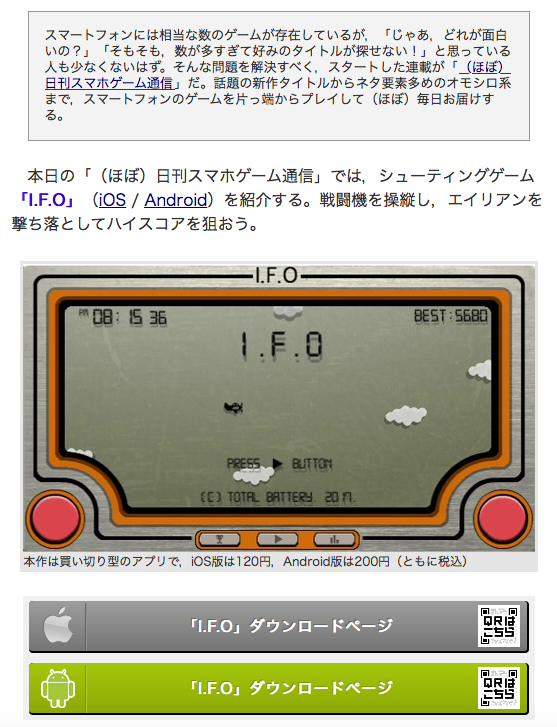 I.F.O updated to version 1.2 on app store. 1. New weapon "Floating mine" added . - Rescue the cow(or sheep) with the "F" mark on its body. 2. New U.F.O the "Octopus" added . 3. Leader board "Kidnap ranking" added(App store only) . - Ranking for the number of kidnapped aliens. - Push "Play" button during game play. - You can destroy the bullet that the UFO fires by using the drill. - The Initial launch time of the "Rocket" was changed from 1 second to 0.7 seconds. - The number of homing missiles launched has increased. - No reset combo when player is damaged. - Extend combo keeping time. - you can disable screen scratch by touching the screen. Thank you, Thank you for playing my game! It was awesome game play movie. I'll try keep up good work. I.F.O has been featured on U.S app store! So doing celebration Discount sale now. Enjoy every one! iTunes preview page is here. Thank you for playing my game!! please I Hope you enjoyed play game. The current best score is 70. haha!